Researchers from Harvard University’s John A Paulsen School of Engineering and Applied Sciences (SEAS) in Massachusetts, have created an acoustophoretic 3D printing technique which uses sound waves to form drops of a wide range of viscous fluids into additively manufactured structures. “Our goal was to take viscosity out of the picture by developing a printing system that is independent from the material properties of the fluid,” said Daniele Foresti, First Author of the paper, the Branco Weiss Fellow, and Research Associate in Materials Science and Mechanical Engineering at SEAS and the Wyss Institute. Inkjet 3D printing utilizes fluid liquid droplets of microliter-to-nanoliter volume to form solids; however, this process is limited to low viscosity inks that are approximately 10 to 100 times higher than the viscosity of water, according to the study. This rules out the 3D printing capabilities of vital biopolymer and cell-laden inks used within biopharmaceuticals and 3D bioprinting as well as sugar-based biopolymers, such as honey, which is 25,000 times more viscous than water. 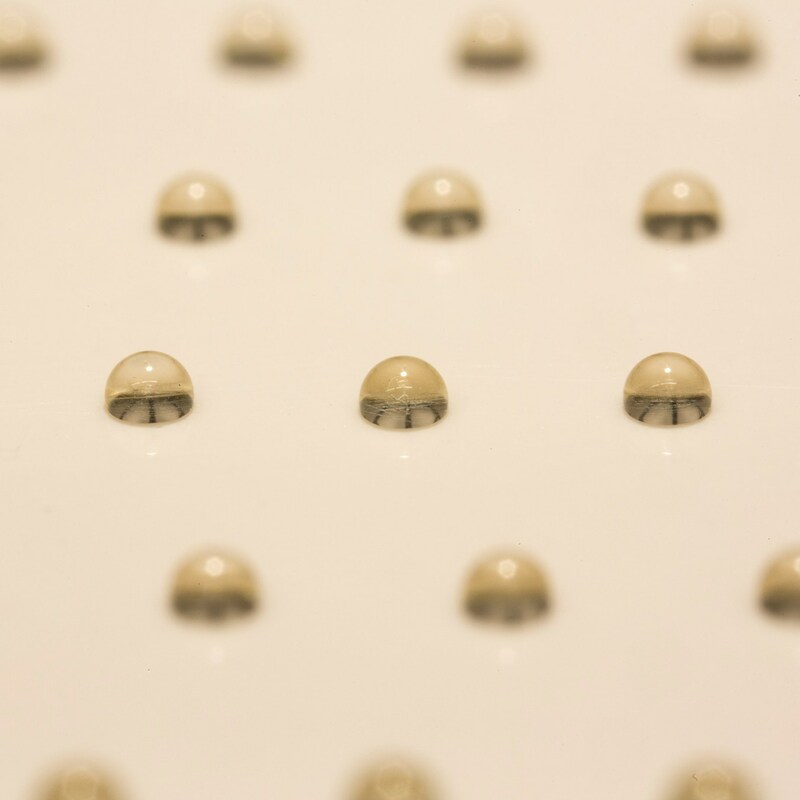 Furthermore, the study states that such viscous fluids experience dramatic changes with temperature and composition, making it more challenging to optimize printing parameters to control droplet sizes. “The idea is to generate an acoustic field that literally detaches tiny droplets from the nozzle, much like picking apples from a tree,” added Foresti. The researchers tested the acoustophoretic 3D printing process on a wide range of materials, including honey to stem-cell inks, a cell-laden collagen solution, a UV-curable optical adhesive, and liquid metals. The controllable force from the custom resonator pulls each droplet off of the “acoustophoretic printing head” with a specified radius from 800µm to less than 65µm nozzle, and ejects it toward the printing target. The researchers found that the higher the amplitude of the sound waves, the smaller the droplet size, no matter the viscosity of the fluid. In addition, as sound waves do not travel through the droplet, the researchers deemed this method as safe to use with sensitive biological cargo, such as living cells or proteins. The research paper “Acoustophoretic printing” was co-authored by Daniele Foresti, Jennifer Lewis, Katharina Kroll, Robert Amissah, Francesco Sillani, Kimberly Homan and Dimos Poulikakos. Featured image shows an ink-drop created by acoustic waves. Image via Jennifer Lewis & Daniele Foresti/Harvard University.